From the parking lot head south as this trail begins to climb, and climb very high into the hills. You don't climb Picket Post mountain but go around it's western side as you climb and eventually descend into surround hills. If you don't like climbing don't bother as this is difficult. Eventually you'll summit the high point and lose ground to the trail's end but I didn't make it that far. The trail continues onward as the Arizona Trail does eventually reach to Mexico. Review: Beautiful trail with long, drawn out climbs/downhills and fantastic views. We rode for 30 miles and climbed almost 4.5k ft.
Review: This is beautiful, dense Sonoran desert. At least 4 types of edible berries along this trail, manily in autumn. Jojoba, mesquite, Foothills Palo Verde, Jumping cactus and prickly pear. Not highly tech, just very long climbs and an amazing descent out. 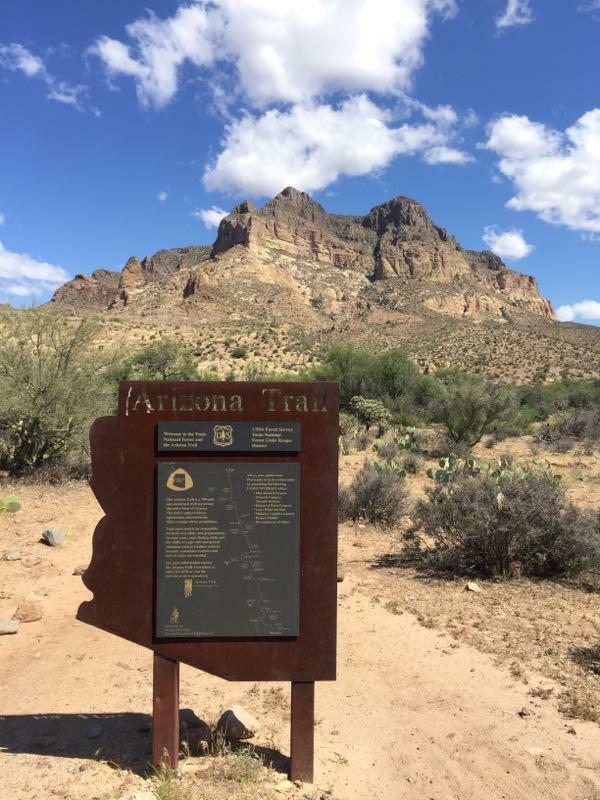 Next section of the AZ trail is Ripsey if going south, very sweet. Picket Post MTB Trail 5.00 out of 5 based on 2 ratings. 2 user reviews.